As a lazy childless female, I’m not sure if I’m fit for this bar. My no-sugar-high-protein food of choice has always been steak. 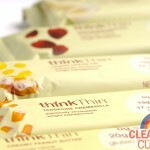 Are thinkThin bars right for me? Apparently, these bars are normally around $3.00-$3.50 a pop, so essentially I had hit the jackpot. 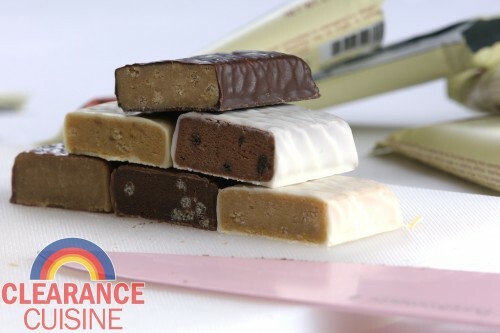 In addition to a high protein content, his bar has no sugar, but contains sugar alcohols in the form of maltitol. It can have some unsavory effects on your gastrointestinal system, so if you think about it, they have a good chance of making you lose weight! Interesting note: these are not “weight loss” bars, but “weight management” bars. Onto the tasting. First was the Brownie Crunch. As another review I found mentioned, there was no “crunch” detected in the bars (ingredient list mentions “soy crisps”). There was hardly any chocolate flavor, more like chalk-olate. 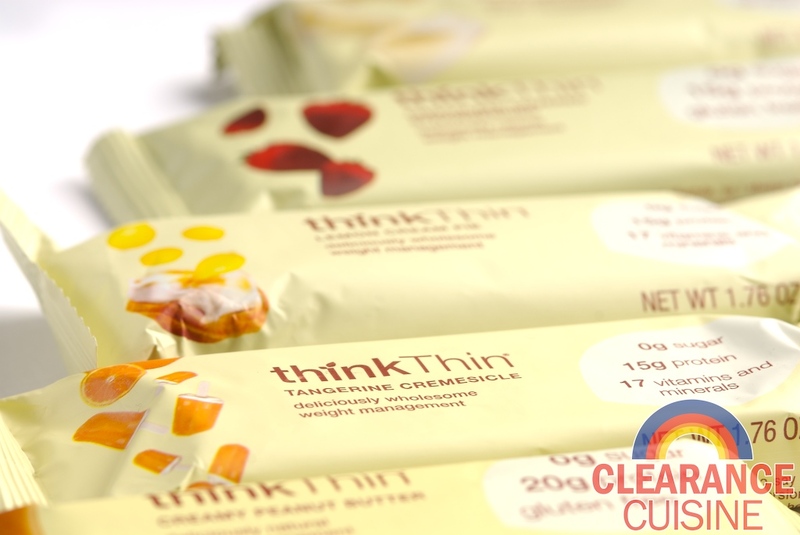 I’m assuming it’s from the “protein blend”, which is the proprietary ingredient in all of the thinkThin bars. White Chocolate Chip was the least offensive because it didn’t really taste like anything. It had a white coating with a brownish inside with “chocolate chips”. The Creamy Peanut Butter was mediocre, more like Crumbly Peanut Butter. Least appetizing were the “fruit” based varieties that we tried. The lemon/tangerine/strawberry flavors tasted quite artificial (the scent of the Lemon Cream Bar was akin to floor cleaner). When I was first opening the bars, I predicted that the Chocolate Covered Strawberry would be my favorite, but I was sadly mistaken. I would pass on these bars, especially if you’re going to pay over three dollars for one. I ending up paying $2 for 6 of them. You’ll probably manage your weight better by not eating these at all. This entry was posted on Wednesday, March 2nd, 2011 at 6:00 am	and is filed under Food. You can follow any comments to this entry through the RSS 2.0 feed. Both comments and pings are currently closed.